Have You Been Affected by Medical Malpractice? 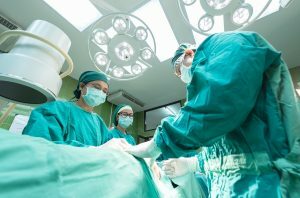 Medical malpractice cases involve patients that have been injured or harmed due to improper treatments, careless practitioners or incorrect diagnoses. If this describes your situation, you have a right to compensation from various parties, including doctors, nurses, technicians, your hospital and more. To prove that one or more of these parties were negligent, call Philpot Law Firm PA.
We would like to believe that all your doctors practice the highest ethical conduct at all times. However, this may not always be true, and accidents will occur. With your medical treatments, mistakes can cause you serious harm. That’s why we are here to help. If you are the victim of improper care that has caused you to suffer, put us to work for you today to get the best recovery possible. If you suspect that you have experienced medical malpractice, you should first contact your health care provider to understand what went wrong and whether your issue is something they will address directly with you. If you remain unsatisfied, you should contact the relevant medical licensing board for guidance. You should also get a health assessment to confirm that your injuries are a result of improper care. Finally, contact us for a free initial consultation. We will help you determine if pursuing a suit is your best choice. You have many options, and we will help you make the best decision for you. Our clients appreciate our attention to detail and personal approach. We will work hard to build meaningful relationships with you, so you can rest assured that our team has your best interests in mind. We take the time to explain your options to you, the best course of action and all possible outcomes. Our team wants you to fully understand our plans and agree with our strategy.